Hand painted leather shoes. Pattern geometrical. 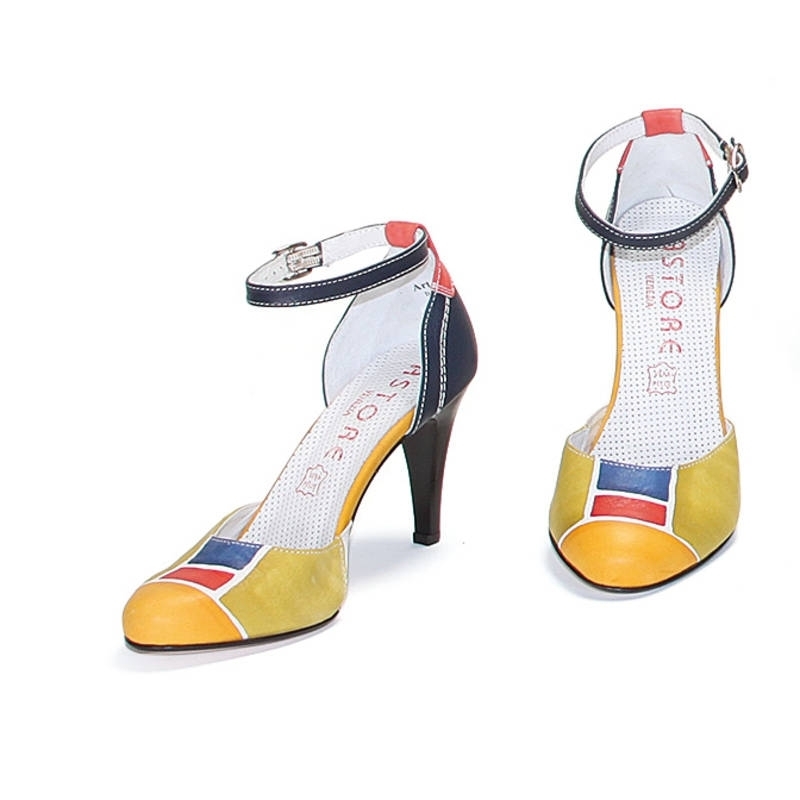 Natural leather sandals with closed toe, ankle straps and medium heels, hand painted. Ideal for any occasion, also formal ones. Match them to your Acquerello handbag! Colors yellow, green, blue and red on white background and geometrical pattern.